In Sierra Leone, politicians make promises to youth in exchange for support in elections, but they rarely deliver. This must change. 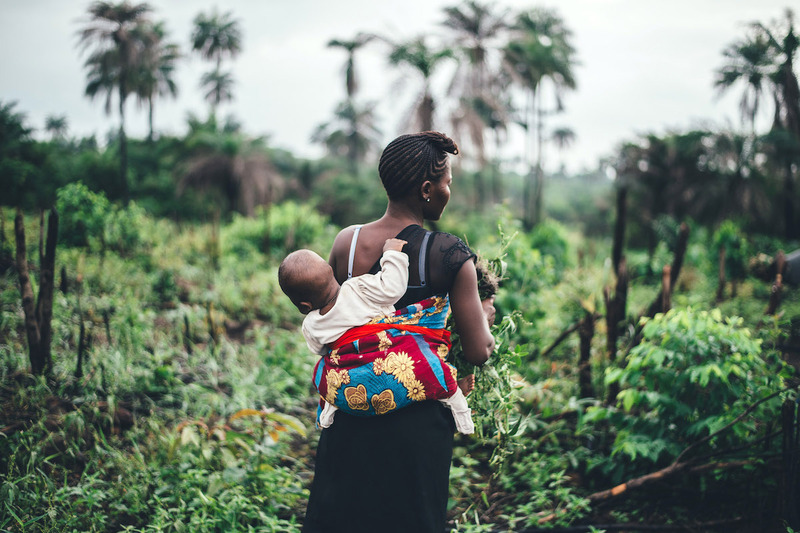 Mother and baby in Sierra Leone. Image via public domain. Sierra Leone’s civil war from 1991-2002 was widely viewed as fueled by a crisis of youth. Although the RUF rebels lacked a coherent ideology, their anti-establishment message resonated with frustrated young Sierra Leoneans who blamed a self-serving elite for monopolizing abundant resources, accessible only through exclusionary patronage networks under the one party All People’s Congress (APC) state. Post-war, fears that soaring unemployment and political marginalization might again push the country’s youth into violence have dominated discussion of development and security. Time and again, UN, NGO and government reports have warned that frustrated ex-combatants will return to arms if not pacified with jobs and educational opportunities. Yet despite placing youth employment and empowerment at the heart of peace building discourse, successive Sierra Leonean governments have done little to turn this rhetoric into practice. Sixteen years after the war ended, approximately 70% of youth remain unemployment or underemployment, with illiteracy widespread and educational opportunities beyond the reach of many. In the run-up to the first round of March’s presidential election – the country’s fourth post-war poll — the youth question has once again been a key part of the discourse. The opposition Sierra Leone People’s Party (SLPP) manifesto described unemployed and underemployed youth as “a phenomenon which started as a little tremor” but is now “a full-blown youthquake posing a serious threat to national stability if future prospects for education and training and productive and gainful employment are not assured.” Like the other leading parties their manifesto identifies policies and programs that will offer greater support to youth through increased access to education, greater involvement in decision making structures and the creation of much needed jobs. But these promises are nothing new; a truly novel development would be if an elected government actually followed-through on its stated ambitions to support youth. Sierra Leone stands out as a remarkably peaceful post-conflict state. 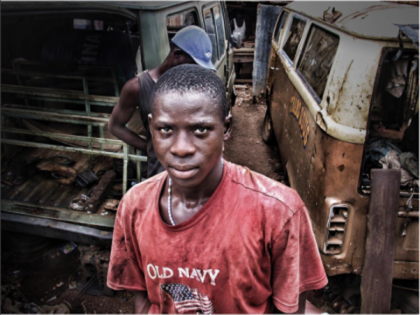 Portraying ex-combatants and unemployed youths as a ticking time bomb grossly misrepresents Sierra Leone’s younger generations, who share a determination to move on from a war they partly blame for their daily struggle for survival. But does sustained peace also reflect the development of a more inclusive post-war political system that offers youth hope of change through ballots, rather than bullets? Post-war elections in Sierra Leone have not been markers of a radical departure from the past. If anything, they have signified a return to “politricks” and business as usual. Disillusionment about this same car, different driver syndrome pervaded after the 2007 ballot; the last time Sierra Leone’s president was decided by a runoff and the last time a peaceful transfer of power between political parties was observed. In 2018, despite the arrival of new political parties in the form of the National Grand Coalition (NGC) and Coalition for Change (C4C) — the leaders of which, both have a complicated recent history with the APC and SLPP — the dominance of the APC and SLPP has not seriously been threatened. Together they won 86% of the ballots cast in the first round of the presidential vote and their respective candidates, Julius Maada Bio (SLPP) and Samura Kamara (APC), will face-off in what promises to be the most keenly contested post-war presidential race. Historically, not only have elections failed to deliver promised change for youth, they have actively mobilized youth along party and regional fault lines, echoing the abusive practices of the past that had undermined trust in the political system. In 2007, leading politicians of both major parties, the APC and SLPP, recruited ex-combatants and youths to their “task forces” – effectively political militias – with offers of money, drink, and jobs. As elections entered a second-round of voting, these task forces were at the heart of violent street battles, leading departing President Ahmed Tejan Kabbah to threaten to declare a state of emergency. Following the 2007 election, many youths and ex-combatants expressed anger that promises made to secure their support had not been kept. Their involvement in violence had gained them nothing and only reinforced the view that “idle youth” were a security risk. They vowed never to be tricked again. The pronounced determination of Sierra Leone’s youth to maintain peace, and the seeming withdrawal of many ex-combatants from violent confrontational politics, were in evidence during the 2012 elections. However, peace was also strongly related to the political and financial ascendency of Koroma’s APC, and the fact that a run-off vote – the stage most associated with violence – was not required. Whilst the party task forces of previous elections have continued to keep a low profile in 2018, further suggesting that the aging ex-combatant population has withdrawn from political violence, a new generation is emerging. Sierra Leone’s evolving gang scene – featuring Crips, Bloods and a third black-wearing faction – has increasingly featured in reports of criminal violence in recent years. In the run-up to the election, they were directly involved in a fatal stabbing during an APC rally in the capital tied to gang beefs and payments to gangsters by party intermediaries. Since the announcement of first round results on 13 March, five election-related violent incidents have been reported and the runoff is likely to take place in a securitized environment with limits on vehicular movement and the deployment of military police across the country. However, though less attractive in the headlines, there are also good reasons to believe that a peaceful run-off is as likely, if not more so, than trouble. The continued media fascination with election violence perpetrated by youth is rarely helpful. 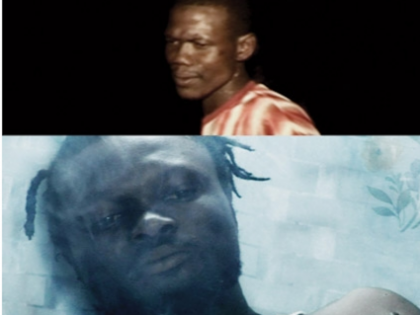 Too often reverting to tired tropes about idle, criminal youth on the continent, it is limited in attention span and comes at the cost of grasping the deeper social and political realities that underpin such violence; issues that rarely command attention after ballots are cast and the cameras move on. Such reporting ignores the peaceful outcome of 2012, and it misses positive trends that suggest Sierra Leone’s youth, whatever may happen in 2018, are determined to break with the past. In response to an increase in divisive ethno-regional narratives on social media platforms after the run-off was confirmed, there has been a strong civil society and public response centred on peace and unity messaging particularly in urban areas. And in a visible return of 2007’s “watermelon politics” – wearing one party’s color (for money) but voting for another — many youth have again turned the tables on politician’s efforts to buy their vote. Crowds for political rallies throughout the country during the first round of voting were large, but attendees openly admitted to taking the offer of free food, money or t-shirts, with the intention of voting for a different party or candidate. “Dance with Kamara, vote for Maada Bio” was a popular refrain. In interviews with gangs in Freetown, members articulated a similar logic. Their public support was for sale, but their votes were their own. Any politician truly seeking to improve the situation for young people, such that their children would not follow them into the gang-life, would get their vote. These exercises of political agency and young people’s wariness of manipulation send a message to future political leaders: offering real change, rather than short-term bribes, will be key to securing the support of the country’s youth. And perhaps the first change must be the way in which politicians, parties and wider society view youth. Writing in 2017 for the Sierra Leone Telegraph, Abdulai Mansaray observed that despite the many positive contributions of young people, including life-saving assistance during recent natural disasters and the Ebola outbreak, “The average Sierra Leonean youth has always been treated like a disposable commodity.” For all the post-conflict peace building rhetoric on youth empowerment, this is a description that continues to resonates across Sierra Leone’s younger generations. Whoever emerges victorious in this election has much work to do to change that perception, and reality. 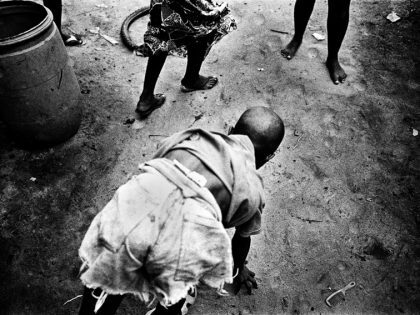 Sierra Leone’s civil war from 1991-2002 was widely viewed as fueled by a crisis of youth. For young people in Freetown, ‘Temple Run’ has become code for the perilous journey that young Sierra Leoneans are making to Europe via Libya. Young men who engage in informal trade in Sierra Leone’s capital are known by the anti-semitic name, “Jew-Man.” There’s a film about them.